Generic Singulair (Montair tablets manufactured by Cipla Ltd.) is used for the prevention and chronic treatment of asthma in adults and pediatric patients 12 months of age and older. Generic Singulair is also indicated for prevention of exercise-induced bronchoconstriction (EIB) in patients 15 years of age and older. Montair (Montelukast Sodium tablets) is used for the relief of symptoms of seasonal allergic rhinitis in patients 2 years of age and older and perennial allergic rhinitis in patients 6 months of age and older. The active pharmaceutical ingredient present in Generic Singulair Tablets is Montelukast Sodium. Montair tablets are manufactured by Cipla Ltd. in strengths of 4 mg, 5 mg and 10 mg.
We also have in stock Generic ProAir Inhaler (Asthalin by Cipla) which which is also used to treat the same indications. We supply original Montair tablets manufactured by Cipla Ltd.. The active ingredient present in Montair tablets is Montelukast Sodium. Each film coated Montair tablet contains Montelukast sodium IP equivalent to 4 mg, 5 mg or 10 mg of Montelukast. Montelukast Sodium blocks substances in the body called leukotriene. This helps to improve symptoms of asthma and allergic rhinitis. Generic Singulair (Montelukast) does not contain a steroid. Montair 4 mg Chewable tablets are made by Cipla and known as Generic Singulair 4 mg Chewable tablets. They are intended for pediatric use. Montair 5 mg Chewable tablets are made by Cipla and known as Generic Singulair 5 mg Chewable tablets. They are intended for pediatric use. Montair 10 mg tablets are made by Cipla and known as Generic Singulair 10 mg tablets. They are intended for adults only. Generic Singulair (Montair, Montelukast Sodium) is used to prevent asthma attacks and for the long-term treatment of asthma in adults and children ages 12 months and older. Do not take Montair if you need relief right away for a sudden asthma attack. If you get an asthma attack, you should follow the instructions your healthcare provider gave you for treating asthma attacks. • indoor allergies that happen all year (perennial allergic rhinitis) in adults and children ages 6 months and older. The recommended dose of Generic Singulair for adults and adolescents 15 years of age and older is one 10 mg tablet taken once daily in the evening. For prevention of EIB, a single 10 mg dose of Generic Singulair (Montair) should be taken at least 2 hours before exercise. An additional dose of Montair should not be taken within 24 hours of a previous dose. Patients already taking Generic Singulair daily for another indication (including chronic asthma) should not take an additional dose to prevent EIB. For allergic rhinitis, Montair should be taken once daily. Efficacy was demonstrated for seasonal allergic rhinitis when montelukast sodium was administered in the morning or the evening without regard to time of food ingestion. The time of administration may be individualized to suit patient needs. Take Montair (Generic Singulair) exactly as prescribed by your doctor. 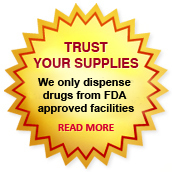 Your healthcare provider will tell you how much Montelukast Sodium tablets to take, and when to take it. Do not stop taking Generic Singulair or change when you take it without talking with your healthcare provider. You can take the medication with food or without food. If you or your child misses a dose of the medicine, just take the next dose at your regular time. Do not take 2 doses at the same time. If you take too much Generic Singulair, call your doctor. • Take Montelukast 1 time each day, in the evening. Continue to take this medicine every day for as long as your healthcare provider prescribes it, even if you have no asthma symptoms. • Do not take Generic Singulair if you need relief right away from a sudden asthma attack. If you get an asthma attack, you should follow the instructions your healthcare provider gave you for treating asthma attacks. • Always have your rescue inhaler medicine with you for asthma attacks. • Do not stop taking or lower the dose of your other asthma medicines unless your healthcare provider tells you to. • Take Generic Singulair at least 2 hours before exercise. • If you take Montair every day for chronic asthma or allergic rhinitis, do not take another dose to prevent exercise-induced asthma. Talk to your healthcare provider about your treatment for exercise-induced asthma. • Do not take 2 doses of this medicine within 24 hours (1 day). Montair Tablets (Generic Singulair) is contraindicated in patients with a hypersensitivity to Montelukast Sodium or any inactive ingredient of this medication. Plese inform your doctor or your healthcare provider if you have any side effect that bothers you or that does not go away. These are not all the possible side effects of this medicine. For more information ask your healthcare provider or pharmacist. • Patients undergoing therapy with Generic Montelukast tablets need to have appropriate rescue medicine available. • Inhaled corticosteroid has to be reduced gradually. Do not abruptly substitute Generic Singulair (Montair) for inhaled or oral corticosteroids. • Patients with known aspirin sensitivity should continue to avoid aspirin or any other non-steroidal anti-inflammatory agents while taking Generic Singulair tablets. • Neuropsychiatric events have been reported with Generic Singulair (Montair Tablets). Patients should be alert for neuropsychiatric events. • Systemic eosinophilia, sometimes presenting with clinical features of vasculitis consistent with Churg-Strauss syndrome, has also been reported. Tell your healthcare provider about all the medicines you take, including prescription and non-prescription medicines, vitamins, and herbal supplements. Some medicines may affect how Generic Singulair works, or this medicine may affect how your other medicines work. If you have asthma and aspirin makes your asthma symptoms worse, continue to avoid taking aspirin or other medicines called non-steroidal anti-inflammatory drugs (NSAIDs) while taking this medicine. Montelukast tablets have been classified by the US FDA as Pregnancy category B. No adequate and well-controlled studies have been conducted in pregnant women. If you are pregnant or plan to become pregnant, this medicine may not be right for you. Since animal reproduction studies are not always predictive of human response, Montelukast Sodium tablets (Montair) should be used during pregnancy only if clearly needed. If you become pregnant while taking this medicine, talk to your doctor. It is not known if this medicine passes into your breast milk. Talk to your healthcare provider about the best way to feed your baby while taking this medicine. You can buy Generic Singulair online from Clear Sky Pharmacy at a cheap price. Montair 4 mg, 5 mg and 10 mg pills, manufactured by Cipla Ltd., India are supplied in a blister strip of 10 tablets. The 4 mg tablets cost only $0.43 per unit when you place an order for 300 tablets.